This 8 x 14 Superior Shed is one from our collection of Timber Garden Sheds. Each and every building comes with free delivery and installation as standard. The exterior of this building is constructed using Weatherboard cladding, painted in Lizard from our exclusive Valtti Paint Palette, while the Apex Roof adorns Heavy Duty Felt. 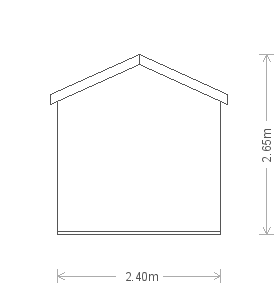 The Superior Shed is our heavy duty model, if you are looking for more of a storage shed, view our Classic Sheds. 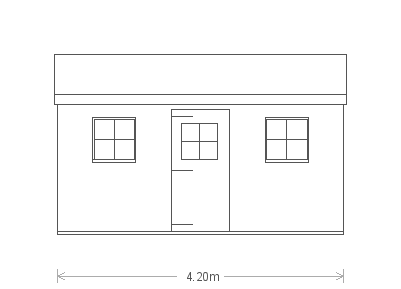 Alternatively, try one of our National Trust Sheds, inspired by the historic outbuildings of Norfolk for a traditional feel. All our garden buildings are handmade to order in our Norfolk-based factory by our team of experienced craftsmen. We also use the highest quality FSC® certified Redwood, sourced from a timber mill in Northern Sweden, which practises sustainable forestry. We encourage visits to each of our Seven UK Show Centres, here you can browse an array of Garden Buildings, getting a real feel for the quality of our offering. Want to know more about this or any of our other builds? If so, please Request a Callback, Contact Us or call us on 01760 444229 and one of our friendly team will be of service.